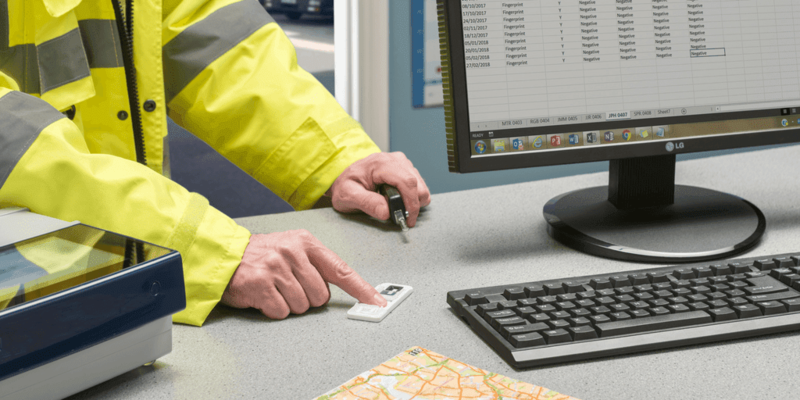 One of the advantages of our revolutionary fingerprint drug testing system for the construction sector is that it not only supports random workplace testing at many locations, but also doesn’t require a specialist clinical environment or medically-trained staff to carry out the test. 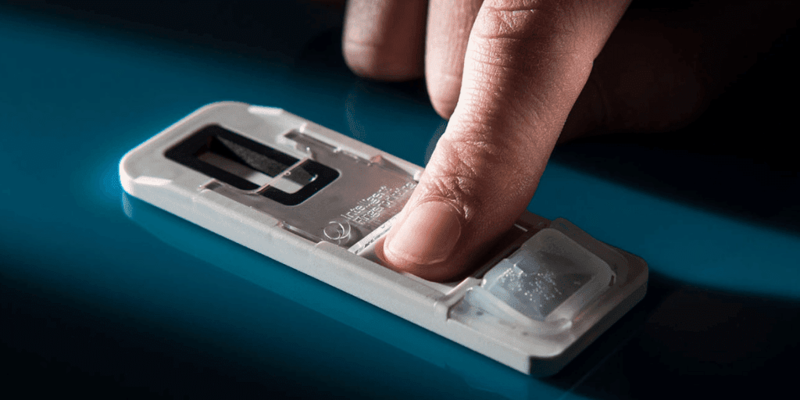 With fingerprint-based drug testing, all you need is our flexible drug testing system – consisting of a Drug Screening Cartridge and the portable Reader 1000 which analyses the cartridge. Sample collection takes just five seconds, with results available in minutes. Our Fingerprint Collection Kit For Laboratory Analysis is also available if secondary, lab-based confirmation testing is required. This gives construction firms the flexibility – in accordance with their existing drug policies – to ask employees to take a simple, random drug test at any time. This approach is more hygienic and convenient than traditional saliva- and urine-based drug screens, and makes it easier for organisations to implement their drug policies without alerting staff ahead of time or interrupting work schedules. This kind of innovation is good news for firms that are keen to ensure compliance with their drug policies – and to fulfil duty of care responsibilities to their staff, partners and customers. That’s particularly the case for the construction industry, where so many employees are engaged in potentially risky activities such as operating cranes, driving diggers on building sites, laying bricks high up on scaffolding, installing electrical systems and building roofs. For any construction worker affected by drug usage, the risks increase significantly, and can also extend to the colleagues they’re working alongside, as well as the general public in the vicinity of the site. If you’re attending the Build UK event please come to the Intelligent Fingerprinting stand to see the system in action for yourself. Alternatively, take a look at our introductory video here or get in touch for a 1:1 demonstration to find out how the system could benefit your organisation.